How having a mentor can help you in business. How sometimes you don’t anticipate who your mentor will be. Why it’s sometimes important to NOT take yourself too seriously in business. Why it’s important to figure out your own level of authenticity in business. Why it’s important to have a mindset that supports selling. How teaching can be a skill that’s an important part of your business. Why you should go out of your way to find a mentor in midlife. How Sales School helps women learn the selling skills to be successful. 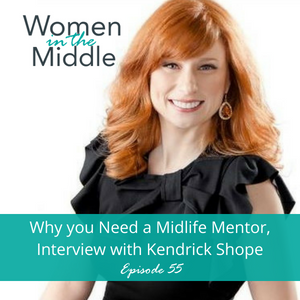 This episode features another one of my mentors, Kendrick Shope! It’s the second interview in my mini-series about the importance of mentors in midlife. Kendrick is a sales expert and just loves helping women be more successful in business! Specifically, Kendrick’s the creator of the leading sales training for women entrepreneurs, Sales School. She also developed the Authentic Selling® process, which has created millions of dollars in revenue and new business for her clients. Kendrick also hosts her own Podcast and TV Show, Sell Like a Woman, reaching nearly 100 thousand followers in six continents. During the interview, Kendrick explains why everyone needs selling so they can get more of what they want in life. The funny thing about being an entrepreneur is that you have to be good at selling AS WELL as what you specialize in. To be successful, you can’t simply focus on your products and services. And selling skills are important beyond business too. It’s integral to everything we want to do. Many midlife women explore direct sales and multi-level marketing and learning about sales is critical to being successful in this world too. Selling really is a basic skill. Kendrick also explains her special take on the importance of “authentic selling” and how to maximize this in the online world. This even includes being transparent about making mistakes. Mentorship comes in many “shapes and sizes.” Kendrick taught me so much, about being authentic, about teaching, and about the importance of selling. You don’t always know you’re being a mentor, and sometimes you don’t even know that you need a mentor. Sometimes you don’t even ever meet a mentor who has really influenced your life. 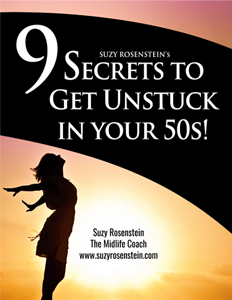 But for sure, mentorship can really change your life and allow you to grow and totally rock your midlife.